Viewers in Kent and York are next in line to get a dedicated local TV service for their area. Kent's new local TV service - KMTV - TV Made for Kent - is due to go live on Freeview channel 7 on the 10th July 2017 for viewers within range of the signal from the Bluebell Hill and Tunbridge Wells transmitters. Freeview viewers will need to retune once the signal is live. The channel is also testing to launch on Virgin Media in the area. According to its Ofcom licence document, KMTV promises to deliver viewers a minimum of 3 hours 20 minutes per weekday of original, live, local content. An automated sustaining service, based on KM Group's website will operate in addition to its dedicated hours of local content. The channel will also broadcast an hour-long local magazine programme each weekday evening, including local political and current affairs content. KMTV promises the show will "actively encourage audience involvement". Meanwhile, York's long-awaited local TV channel, to be known as "That's York" has now received a licence which will allow it to broadcast a regular service from 26th June 2017 on Freeview, where it will broadcast on channel 8, in recognition of the fact that some viewers in the York area might receive a weak signal from neighbouring local TV channel Made in Leeds on channel 7 - the number most local channels in England broadcast on. 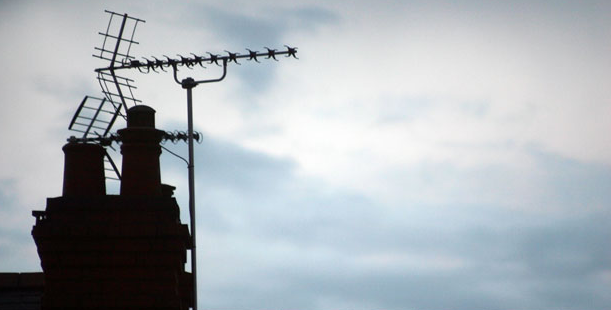 Viewers in York can retune Freeview now to add the channel to their channel list, providing they receive ITV Yorkshire and not Tyne Tees via their aerial. The channel's launch had been delayed owing to decisions about the location of the transmitter carrying the local TV service and changes to the original plans for the channel. That's York was originally due to go on air with the name "The York Channel", later changed to "Hello York" and then "That's York", following a quietly done deal for the channel to become part of the That's TV local network, which already operates channels in other towns and cities including Basingstoke, Cambridge, Manchester, Oxford and Reading. York's local channel was originally due to be broadcast on Freeview from the Bilsdale West Moor transmitter to the north of the city, from where viewers in North Yorkshire can receive ITV Tyne Tees and BBC North East. But with many viewers in the city choosing to receive ITV and BBC Yorkshire services from the transmitter at Emley Moor, an alternative arrangement was sought to allow viewers with aerials pointing south-west to receive the channel. In 2015, it was announced that the water tower at Askham Bryan would be used to transmit the signals, but the location was changed, and now a mast at Bilborough will transmit the signal to homes in York. That's TV is currently also planning a local TV service for Scarborough, although details are scarce. Further local TV services are yet to launch in Carlisle and Salisbury this year.